The “not so lovey-dovey” relationship between the CEO’s of Facebook and Apple is not hidden from any of us. However, their rivalry is now in the records as well – in an official announcement by Facebook. The CEO of Apple Tim Cook and the CEO of Facebook Mark Zuckerberg are both moguls of the tech industry. They are both running a trillion dollar company with headquarters just a short drive from each other in Silicon Valley. Despite their similar net worth, the cold war between the two remains heated on most occasions. On Thursday, Facebook issued a lengthy blog post in response to a series of privacy scandals named after them. 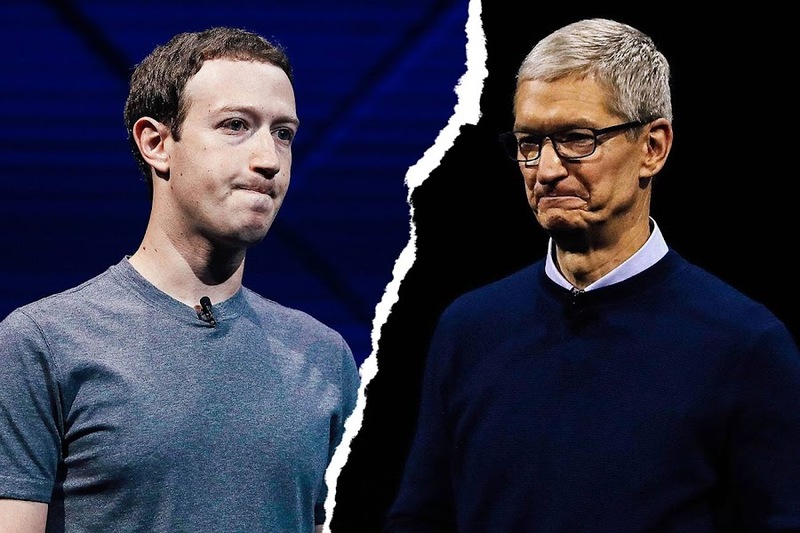 The blog post also contained some statement regarding the CEO of Apple which includes disagreement with the latter’s constant criticism towards Facebook. The social media giant also applauded Apple’s competing operating system – Android, touting it as the most popular OS in the world. "Tim Cook has consistently criticized our business model and Mark has been equally clear he disagrees. So there’s been no need to employ anyone else to do this for us. And we’ve long encouraged our employees and executives to use Android because it is the most popular operating system in the world. ", said Facebook in a press release. Facebook's blog post was in response to the New York Times accusation that Mark Zuckerberg restricts his co-workers from using iPhones because of his equation with Cook. The conflict between the two CEOs is not a new story. Both the giants have disagreed and thrown cynicism at each other and their operations on more than one occasion. However, it does come as a surprise that both the companies are using PR statement to spill the beans on each other. Read Next: Will the new iPad revive the Apple's history of success?